Acts of selfless charity are rare these days. Sometimes, they make the biggest impact, and no thanks is even possible. It is in those moments, we are most reminded of God’s grace and goodness. This past weekend, I ran the Emerald Isle Marathon. 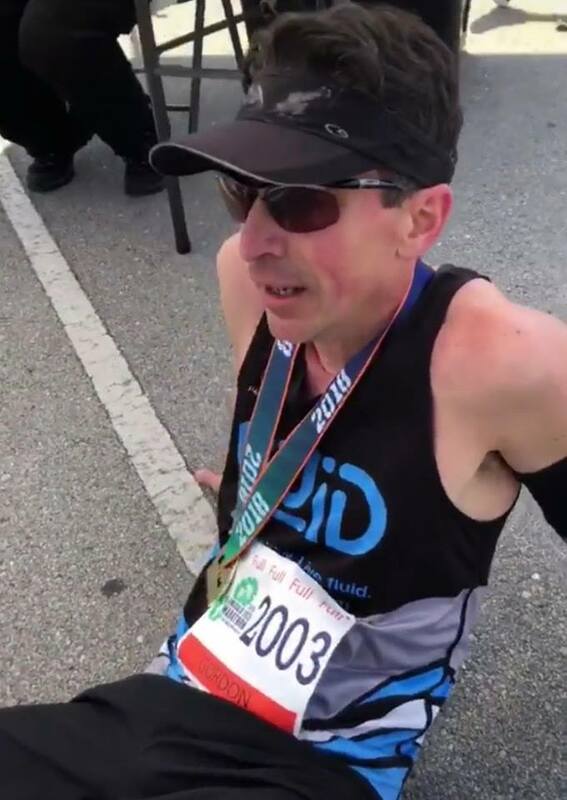 My goal was to qualify for the Boston Marathon, and to do that, I needed to run 26.2 miles in 3:24:59. Along the way, I wanted to honor God, inspire my family/friends, and give hope to other epilepsy fighters out there. I qualified by less than 30 seconds, and I have an anonymous Good Samaritan to thank. The Emerald Isle Marathon is small. There are typically less than 100 runners, and this year, there were only 73. Despite the race’s size, there were lots of folks helping out along the course to make sure everyone was hydrated and making the correct turns. That’s where my story begins. Somewhere around mile 6 or 7, I made a turn, grabbed water on the run, and nearly ran into a young boy on a bicycle. My first reaction was frustration, but I decided to just keep my head down and not let it worry me. A few moments later, someone tapped me on the shoulder. It was a runner who I had just passed. Apparently, the young boy on the bike was there to make sure that no one missed the turn. I didn’t know that and had run off course. I quickly turned around and thanked the runner for her selfless act. She didn’t have to come after me. She could have just run her race. By doing what she did, she sacrificed her time, and I passed her again soon after. I have no idea what would have happened to me if she hadn’t run me down. I would have continued in the wrong direction to I have no idea what. I’m sure I would not have qualified without her help. As it was, I qualified with less than 30 seconds to spare as it was. After I crossed the finish line, I looked for her because I wanted to say thank you. Unfortunately, after an hour of looking at every finisher I could, I never saw her to say thanks. I hope she finished and met her goals like she enabled me to do. Showing kindness and being selfless is rare these days. This runner’s kindness was a sacrifice of her time for the sake of me, a stranger. In the Gospel, Christ sacrificed Himself for me, and I was something more alien than a stranger. I was His enemy. And while I will not be able to say thanks to that runner, I want to live my life thanking Jesus and reflecting his selflessness to others…just like that one runner did for me.